Want to help us do more for the Park? Help further our reach by making a donation to Cabrillo National Monument Foundation. Your support will help us provide funding to Cabrillo National Monument and their dynamic, life changing programs that empower the next generation of park stewards. The Cabrillo Community Outreach Initiative changes the game for Cabrillo National Monument in terms of educational capacity and community engagement. Your support of the initiative will provide the Park a designated team and platform to reach our community where they are and extend impact beyond the boundaries of the Park; essentially taking the “Park to the People”. The opportunities ignited by this endeavor would exponentially expand the park’s reach within the community (since we have explored these spaces, we are just expanding)- career fairs, maker spaces, sporting events, underserved schools, and large­ scale community engagement events. We hope you will join us in supporting this very important initiative and further the Park’s reach to create the next generation of park stewards. 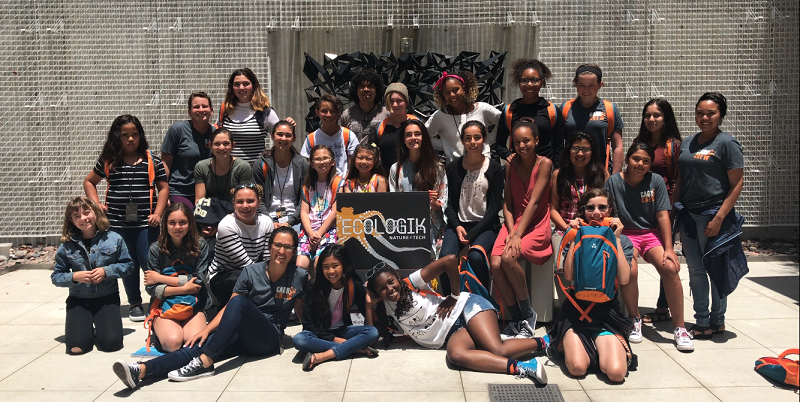 The EcoLogik Project is a unique fusion of ecology, nature, and technology; EcoLogik connects the next generation of science stewards to the natural resources and science at Cabrillo National Monument. In collaboration with the San Diego Downtown Library’s Innovation Lab and the non-profit Treobytes, this multidisciplinary approach fosters a learning platform making technology more accessible to students while inspiring them to choose careers in STEM fields. The goal of the EcoLogik Project is to provide education tools and context empowering the 21st century of park stewards in meaningful and relevant ways with science. You can learn more about the EcoLogik program from the Cabrillo Education site. Help Support Conservation + Comics – NEW PROGRAM! With the Conservation + Comics program, we are partnering with two youth serving organizations – Little Fish Comic Studio, The Kevin Workman Foundation and Monarch School – to provide a distinct experience for underserved and homeless youth in the greater San Diego area. This platform will use art in many different modalities (acrylic & canvas, comic books, etc) to connect students to the science and natural themes of the park while providing them with a positive nature experience. With each day camp, students will be guided through a nature exploration of the park focused on a specific theme (i.e. biodiversity, adaptation, connectivity). Students will then be exposed to the power of nature journaling and observation as a way to tell scientific and other stories. Our art education partners will lead students in the study of different types of artistic techniques with the end product being a piece the students complete at the park. These pieces will be placed on display in a traveling art exhibit and students will be given high-resolution printed copies to take home. 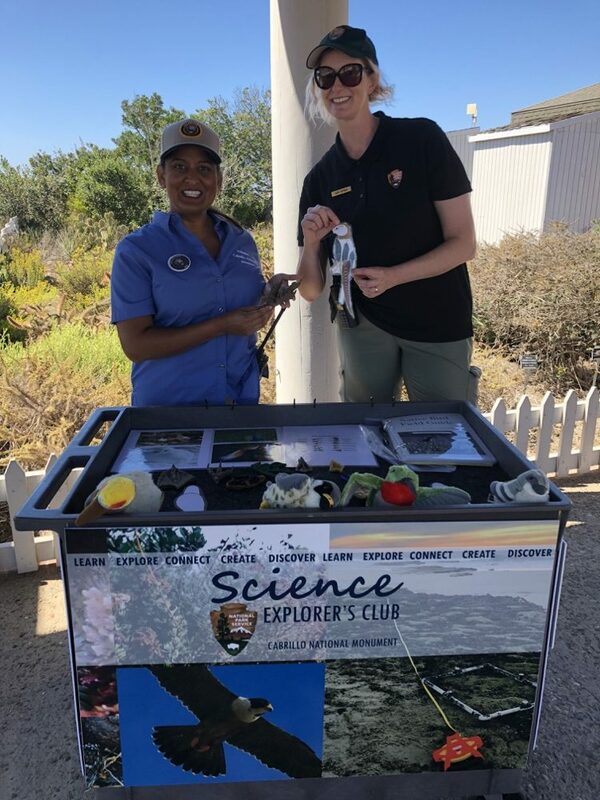 The Science Explorers Club is a fun series of short, hands-on activities designed to engage visitors with the science and data collection techniques of the park. Examples of activities include exploring tidepool monitoring through quadrat and owl limpet sampling, mini-bird surveys, collecting biodiversity data in an iNaturalist scavenger hunt, and much more! Each of these activities are easily adaptable to multiple interpretive settings – at the park, community events, school presentations, etc. Participants are introduced to the real tools park biologists use and not only get to collect their own data, but are also encouraged to think about what their data might mean within the greater context of the park. In 2018, the Science Explorers Club has had over 1500 visitor contacts and trained 15 new and returning volunteers. Additionally, Volunteers-in-Parks are energized to have the tools and training to facilitate these discussions. With further support, the Park hopes to 1) implement additional activities focused on herpetofauna, vegetation monitoring, gray whale migrations, and invasive species and 2) create a standardized volunteer training to inspire others to join us. Donations to CNMF help us support major educational and scientific programs at Cabrillo National Monument.